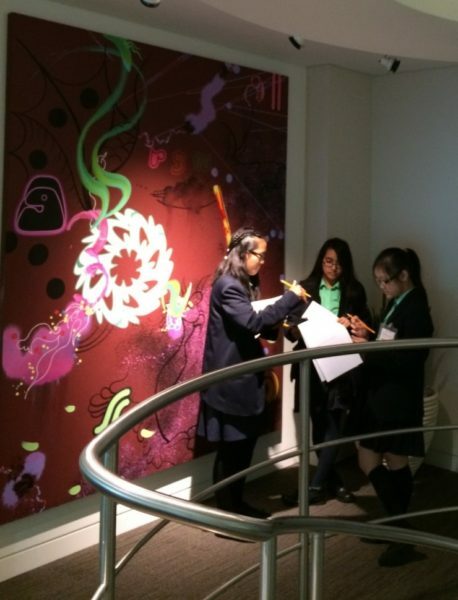 In December 2016 we held a Private View for Bishop Challoner school students in an East London gallery, giving students and their parents the opportunity to celebrate their work and enjoy a taster of the art world. Their paintings were produced in response to Aspen’s art collection at October’s Aspen Art Day, an integral part of the art engagement programme CAS Consultancy manages for the organisation. Aspen Art Days, held in partnership with children’s charity Place2Be, are aimed at opening up the collection at Aspen’s London headquarters, supporting a wide ranging art engagement programme that adds value to Aspen’s important contemporary art collection.